Here’s Part 3 of 4 (page 32) ! 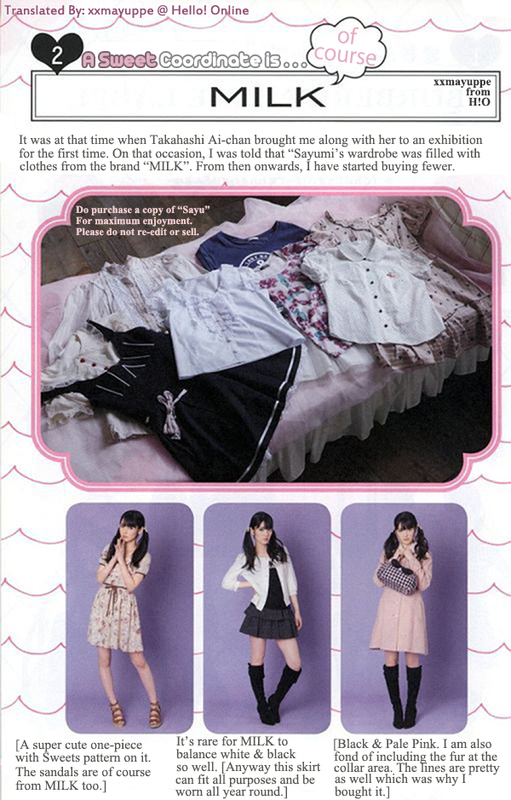 This time Sayu will be focusing on Sweet Coordinates as the theme, and the brand she will be introducing to us is called “MILK”. Comments & feedbacks are much appreciated. Thank you for reading !